Whether you already have lots of work experience or none at all, are aiming to start your own business, gain employment or go on to further study, there are a range of steps you can take to make the most of your MSc year. 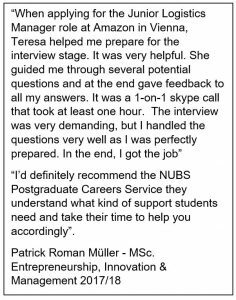 At Nottingham University Business School (NUBS) we run a weekly Accelerated Career Leader Programme during semester one and also provide a range of support and resources to help to guide you in the right direction. Attend the timetabled sessions during semester one which are aimed to equip you with knowledge and understanding of a range of topics including: Career planning, effective networking, CV and application advice, interview skills, psychometric testing, assessment centres, interview skills and presenting with confidence. Don’t forget about semester two ACLP sessions which are optional and include information from sector experts to help you make sense of a range of career paths you may want to follow. Last year’s sessions included insights from a range of professionals working in the HR sector with guest speakers from Rolls Royce, BBC and Clifford Chance (Asia Pacific Division). We also heard from professionals working in the Sustainability sector which included insights from Sustainability Consultants at Accenture and Delta-Simons. In semester two we also run a range of skill sessions too. Use our Moodle pages to keep up to date on events as well as seek out further resources and particularly the subscribed resources you have access to as a Business School Postgraduate. These include: Passport Career (global labour market information, training and advice). Pay Negotiation (a resource with sound advice when negotiating your pay in a new job role). CareerLeader (something we may guide you to if appropriate which is a career diagnostic tool developed by Harvard Business School to help to align you with the right career path based on your business interests, motivations and areas of strength). Access to IBIS World for Careers researching and job interview preparation tool. Support for Case Study Interviews (common in the Investment Banking and Consulting sectors in particular) through The Video Vault and Case Questions Interactive (CQI). 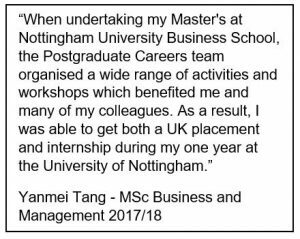 More information about this can be found in the Postgraduate Careers MSc Handbook available to NUBS Postgraduates via Moodle. Seek one-to-one support from a qualified and accredited Consultant. 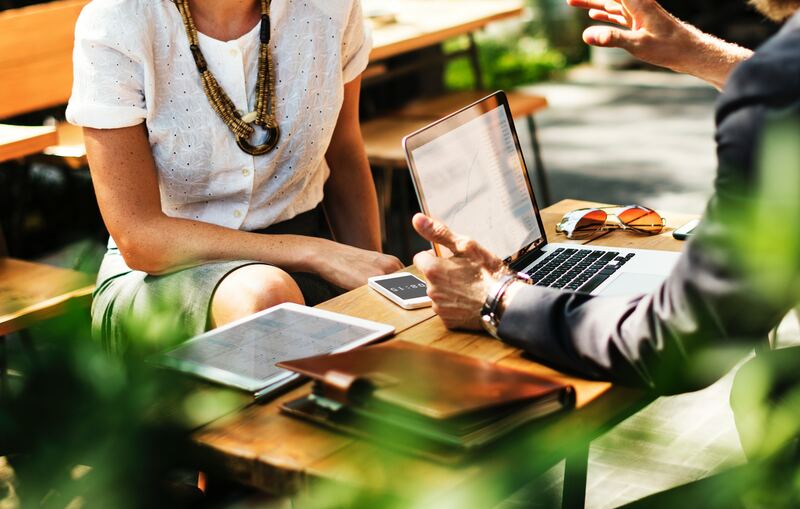 We have a wealth of experience within the team and all support comes from individuals who are either qualified Careers Guidance practitioners or accredited Coaches. In addition to this our consultants also have a wealth of recruitment and management experience which will help to support you in your career decision making.